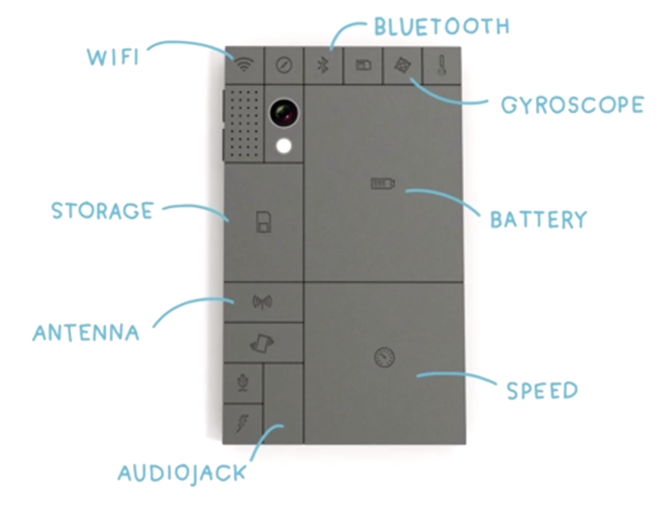 Phonebloks consists of a main board onto which bloks could be snapped on by the user like Lego bricks. Each blok is responsible for a unique function of the phone, much like a desktop computer has a distinct sound card, graphics card, processor, monitor, and power supply. As a result, instead of replacing the entire phone when it becomes obsolete or broken, one could simply replace the defective or performance-limiting part. If the consumer wants a camera that suits his or her needs better, he or she could for example swap their small generic camera blok for a larger zoom camera from a manufacturer such as Nikon or Canon instead of buying a phone with a better camera. In theory, this would lead to fewer people throwing away their phones and contributing to the ever-increasing problem of electronic waste. 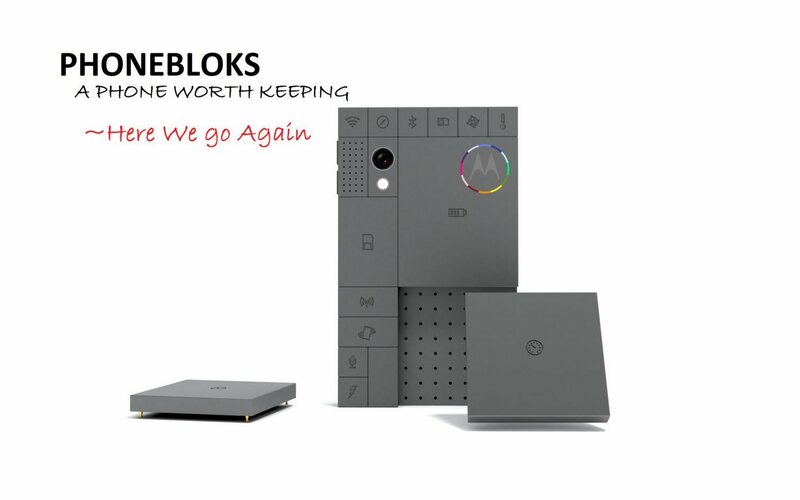 Smartphones based on the Phonebloks system would be sold part by part, as well as in starter sets. 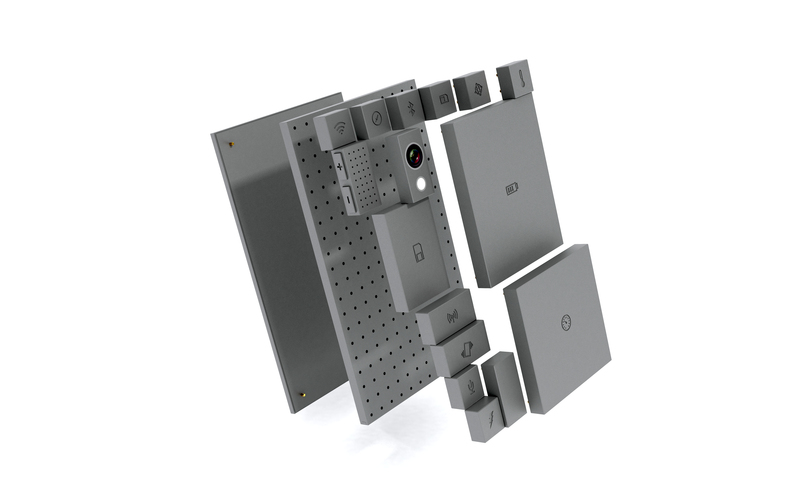 When assembled, the phone would have a screen covering the entirety of the front, volume buttons and headphone jacks along the outer edge, and bloks clicked into the back, forming a rectangular block shape overall.